This quiz wants your body. Bad. Have you taken all the Buzzfeed quizzes yet? Do you know which Game of Thrones character you are? Did it lead you to a greater understanding of yourself? 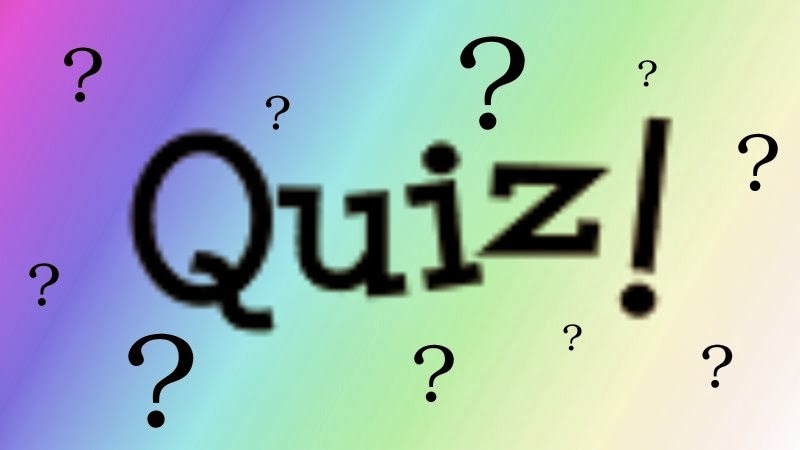 Have you taken the Welcome to Bethville Mega Quiz? I call it the "Quiz to End All Quizzes." Seriously. I hope it ends all quizzes. Want to take it? Okay, let's get started. At the end of this quiz, you'll know everything you ever needed to know about yourself. Step 1: Get out a piece of paper. Yeah. And a pen too. We do this old school, or we don't do nothing at all. Step 2: Sit down on a comfortable surface like a chair, a couch, the arm of a chair, the arm of a couch, or an elderly person's lap. Step 3: Learn how to write and spell if you haven't already. Are you all set? Good. Step 4: Read the following instructions. Instructions: FILL IN THE ANSWER IN A WAY THAT PLEASES YOU. YOU'RE WELCOME. HAVE FUN. Question 1: Which Game of Thrones character are you? Question 2: Which Harry Potter character are you? Question 3: Which city should you really be living in? Question 4: Which superhero are you? Question 6: Which Muppet are you? Question 7: Is it lunch yet? Question 8: Which Disney princess are you? Question 9: What are you doing later? Do you want to hang out? Question 10: Which 90s TV boyfriend is right for you? Question 11: How's your mom? Question 12: And your dad? Is he good? Question 13: What are you watching on Netflix right now? Is it any good? Should I watch it? Question 14: Which Star Wars character are you, or Star Trek character, if you prefer? Or both? Question 15: Do you have any need for a 25% off coupon for Michael's Arts & Crafts stores? I have one if you're interested. Question 16: Did you decide yet about later? Dinner? Or maybe a movie? I'm easy. Just let me know. Question 17: What are your hopes and dreams? Question 18: Was the question about hopes and dreams too personal? You don't need to talk about it if you don't want to. Question 19: Which Game of Thrones character would you be if you couldn't be your first choice? Question 20: Have I told you that I love you? Question 21: NO, COME BACK! I'M SORRY I SAID I LOVE YOU. IT WAS TOO SOON, WASN'T IT? Question 22: Which Battlestar Galactica character are you? Question 23: Which James Bond are you? Question 24: Which Bond villain are you? Question 25: Which Bond girl are you? Question 26; Was that too many questions in a row about James Bond? Question 27: Just kidding. That's impossible. Question 28: What type of doughnut are you? Question 29: Why would you want to be a doughnut? Question 30: Just let me know about later. OK? I hope you enjoyed the Welcome to Bethville Mega Quiz. Mail me your answers (or email me a scan of your answers at themayorofbethville@gmail.com) and I'll give you a full personality writeup that will blast your face off so efficiently that you'll never have to take another quiz again. And I really did mean the "I love you." DEAL WITH IT.